Customer-Driven Marketing — Middle East gives you an in-depth understanding of core marketing concepts to gain a deeper understanding of your customers. Learning who they are, how they make decisions, and which ones will provide the best value to the organization will have a profound impact on your bottom line. 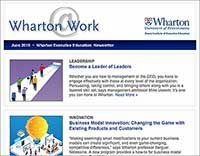 Customer-Driven Marketing — Middle East may be attended on its own or as part of Wharton’s Accelerated Development Program (ADP). This certificate program consists of three separate educational experiences and professional assessments, going beyond the classroom to help participants become more proactive in managing their careers. At a time when the Middle East’s market growth potential continues to capture the world’s attention, companies across all sectors of the Middle Eastern economy need to get right the marketing component of their strategy. Customer-Driven Marketing — Middle East delivers specific marketing insight for companies, enabling them to delve into the latest marketing tools and frameworks to help move forward their business strategy. 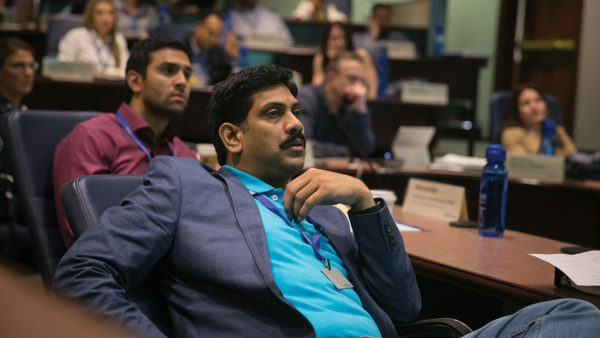 Vice Dean and Professor of Marketing Jagmohan Raju, an award-winning professor and internationally renowned pricing expert, applies his field-based research and the latest strategic insights to help you better understand your customers and the role of marketing throughout your organization. You will view concepts such as lifetime customer value, branding, and distribution channels through a new consumer-centric lens. Through this highly engaging, real-world program, you will use both quantitative and qualitative methods, lectures, case studies, and hands-on exercises to learn how to evaluate new business opportunities, forecast, measure consumer preferences, and set pricing. You leave with the tools you need to achieve your marketing goals, including identifying the essential elements of a strong marketing plan and enhancing your ability to participate in and drive marketing decisions. Key components of the program are the case discussions, where you will have the opportunity to apply techniques and tools learned in the classroom. You and your peers will also examine how companies have positioned new products and created competitive advantage in a global context. Customer-Driven Marketing — Middle East is designed for high-potential business leaders across the organization (in areas such as R&D, operations, finance, and product development). No formal marketing experience is necessary, although participants should have significant work experience and a proven record of advancement. 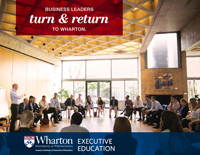 Participants in this program are a diverse group of marketing leaders from varied industries and backgrounds in the Middle East who share their biggest challenges with the class. Faculty tailor the program content to address these issues, so participants enjoy a learning experience that truly resonates with them and meets their learning needs. Tuition includes lunches, breaks, and program materials, but does not include accommodations. Prices are subject to change. For further details please contact Eruditus Executive Education.